The PlayStation 4 National Premier Leagues season reaches its climax on Saturday 3 October when Western Australia’s Bayswater City SC takes on Blacktown City FC from NSW in the PlayStation 4 NPL 2015 Grand Final at Dorrien Gardens. The two ‘City’ clubs will contest the pinnacle of the PlayStation 4 NPL Finals Series for the right to be crowned PlayStation 4 National Premier Leagues 2015 Champions of Australia as well as secure a prized spot in next year’s Westfield FFA Cup Round of 32. Bayswater City SC and Blacktown City FC won their way through to the decider after winning their Elimination and Semi Final matches. The WA club earned the right to host the Grand Final in Perth after amassing the highest number of points across the course of the two Finals Series encounters. Bayswater City’s impressive 6-0 rout of Olympia FC in the Semi Finals last weekend will have the home team full of confidence heading into the big one, however Blacktown City FC are certain to provide a different and more difficult proposition. The PlayStation 4 NSW Men’s 1 Premiers defeated Canberra FC and Moreton Bay United, both at home, on their way to reaching the Grand Final, and will head west with plenty of belief. Both Grand Final clubs boast a wealth of quality and players with Hyundai A-League experience, and both clubs will be eager to secure automatic entry into next year’s Westfield FFA Cup Round of 32 having already had a taste of competing in the Final Rounds of the Australia’s Cup competition. Tickets for the Grand Final will be available at the venue on match day, while the match will also be LIVE streamed via www.nationalpremierleagues.com.au.  Western Australia’s Bayswater City SC will take on Blacktown City FC from New South Wales in the PlayStation 4 National Premier Leagues 2015 Grand Final after the two clubs won through to the decider. The Grand Final will be played on Saturday 3 October 2015 at Dorrien Gardens in West Perth (kick-off 6.30pm local, 8.30pm AEST). Bayswater City SC won the right to host the Grand Final after trouncing Tasmania’s Olympia FC 6-0 yesterday afternoon, the lop-sided result seeing the WA side finish with a higher overall points tally than Blacktown City FC over the course of their Elimination and Semi Final matches. David Heagney scored a hat-trick and Bor Bor Sam netted a brace in the rout as Chris Coyne’s team showed some ominous form never allowing Olympia FC into the contest. Blacktown City FC booked their spot in the big one after defeating Moreton Bay United FC 2-1 on Saturday night and the PlayStation 4 NPL NSW Men’s 1 Premiers will now travel to Perth to battle it out for a place in next year’s Westfield FFA Cup Round of 32. A Travis Major strike and an own goal gave Blacktown City a 2-0 lead at half time before the home side was forced to withstand a spirited Moreton Bay fightback to progress to the big one. At the end of the Semi Finals the overall points tally to determine the host for the Grand Final was as follows – Bayswater City SC 26, Blacktown City FC 17. It was a case of some good, some bad for Blacktown City FC became the first team in the PlayStation 4 National Premier Leagues 2015 Grand Final. The PS4 NPL NSW Men’s 1 Premiers produced some of its best football over the course of its 2-1 win over Football Queensland’s Moreton Bay United but had to survive a second half onslaught to progress to the Grand Final. An unfortunate own-goal from United’s Alex Henderson proved the difference in the end, as it put Blacktown City 2-0 up after Travis Major opened the scoring after just 14 minutes. City’s Mitchel Mallia was crucial to both, dominating his battle with Jayke Cuschieri over the opening 30 minutes and laying on both goals for the home side with two quality crosses into the danger area. Before City had taken the lead, Sasa Macura was already dominating the middle of the park, with more than a bit of help from the classy Daniel Araujo, and hit the post after just three minutes as City came out of the blocks flying. Mallia was threatening early on too, finding Major after five minutes before laying on the all-important ball for the opening goal of the game to Major. The former Western Sydney Wanderer was at it again after 30 minutes, skinning Cuschieri before slamming another cross into the box, which unluckily deflected off Henderson and into his own goal past a helpless Luke Borean in goal. Cuschieri was substituted before the restart for Matthew Zappone who was able to limit Mallia’s impact on proceedings. With a 2-0 lead, City moved into cruise control as a shell-shocked Moreton Bay hung on until half-time to assess the damage. Whatever United coach Adam Piddick said at half-time had a profound impact on his side as Moreton Bay emerged from the sheds a much better side. Matthew Capelo and Stephen Green wrestled control of the midfield battle away from their Blacktown counterparts and began to assert United’s authority on the contest. Moreton Bay scored a deserved goal after 63 minutes to get back into the contest through Green, who did brilliantly to hold up the ball after controlling a misdirected shot in a crowded penalty area, turn his defender and slam the ball past Nenad Vekic in the Blacktown goal. If Vekic was disappointed to lose his clean sheet, he was crucial to the end result with two crucial interceptions outside his box, the second of which was a brilliant slide tackle on the extremely dangerous Charles Mendy, who proved a thorn in the Blacktown defence’s side all night. Giorigio Speranza did a fine job containing the lively winger to the limited chances he did, with Vekic on hand to clean up when required. The goal certainly provoked a response from Blacktown, which worked its way back into the contest admirably, testing Moreton Bay’s Borean on a number of occasions but failing to find a third goal. Blacktown City coach Mark Crittenden said his side was exceptional in the first half, and despite a strong response from Moreton Bay he was happy with how his side hung onto its narrow lead. “I thought our first half was exceptional and I think we really moved the ball with pace and had a few good chances,” Crittenden said. “We knew they’d change it in the second half and they went to a front two and tried to flood the midfield and you expect a good response because they won their Premiership for a reason, so it was a good, tough battle. Four clubs remain in the race for the title of PlayStation 4 National Premier Leagues 2015 Champions of Australia and a spot in next year’s Westfield FFA Cup Round of 32 ahead of this weekend’s two Semi Finals of the PlayStation 4 National Premier Leagues 2015 Finals Series. On Saturday night at 7.30pm AEST it’s a State of Origin battle as Blacktown City FC from Football NSW host Queensland’s Moreton Bay United FC at Lilys Football Stadium. Despite both recording comfortable wins in their Elimination Finals, Blacktown City FC earned the right to host the do-or-die clash after accruing one more point than Moreton Bay United going by the competition’s points system to determine the hosts for the Semi Finals and the Grand Final. The second Semi Final features a showdown between Western Australia and Tasmania as Bayswater City SC welcome Olympia FC to Frank Drago Reserve on Sunday afternoon (2.30pm AWST, 4.30pm AEST). Bayswater City SC recovered from a goal down to overrun West Adelaide SC in Adelaide last weekend, while Olympia FC progressed after causing arguably the biggest upset of the PlayStation 4 NPL 2015 Finals Series when they toppled highly fancied Victorian outfit South Melbourne FC away from home in their Elimination Final. Blacktown City FC will be bolstered by the return of defender Zach Cairncross from suspension but will be without Patrick Antelmi after he was sent off in the victory over Canberra FC. Olympia FC is the other club that will be missing a player through suspension as they will be without the services of midfielder Shae Hickey after he received a red card in the opening half against South Melbourne FC. The winners of the two Semi Finals will go on to meet in the Grand Final, with the host club to be the one that has accumulated the most number of points across the Elimination and Semi Finals. Heading into the Semi Finals the current points tally is as follows – Blacktown City FC 11, Moreton Bay United FC 10, Bayswater City SC 7, Olympia FC 2. Click here to see the full points breakdown. Tickets for both Semi Finals will be available at the venues on match day, while both matches will also be LIVE streamed via www.nationalpremierleagues.com.au. You can now watch an edited version of the live stream that was produced at the PS4 National Premier Leagues NSW Men’s 1 Grand Final last weekend. Rejoin commentators Brenton Speed and Adam Santarossa as they call the pinnacle game of the season between Bonnyrigg White Eagles and Blacktown City FC.